What is the iBelieve Event? The iBelieve event was created as an opportunity to bring our community together for an afternoon of encouragement and positivity, something we all need. 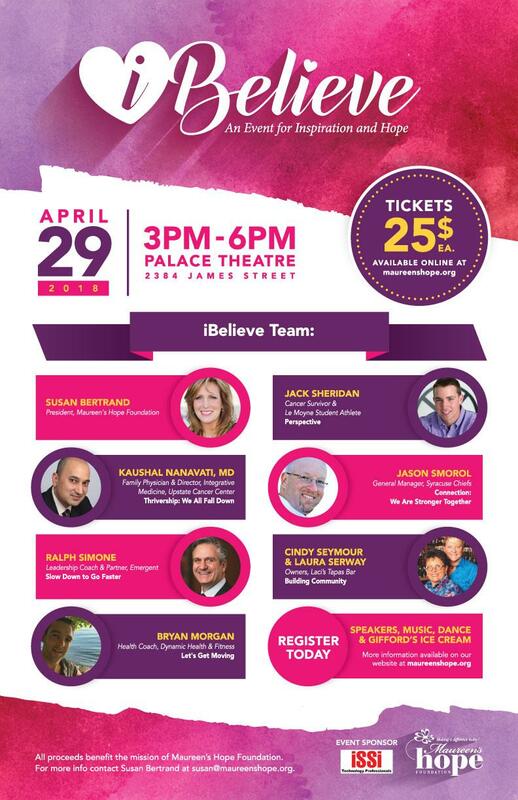 Participants will be inspired by our dynamic line up of speakers in a room filled with positive energy and HOPE. All proceeds benefit the mission of Maureen’s Hope. Community Sponsorships are a unique opportunity that will allow us to offer complimentary tickets to local non-profits to share with community members they serve. The intention is to be inclusive of a broad audience, as we all need inspiration and encouragement.